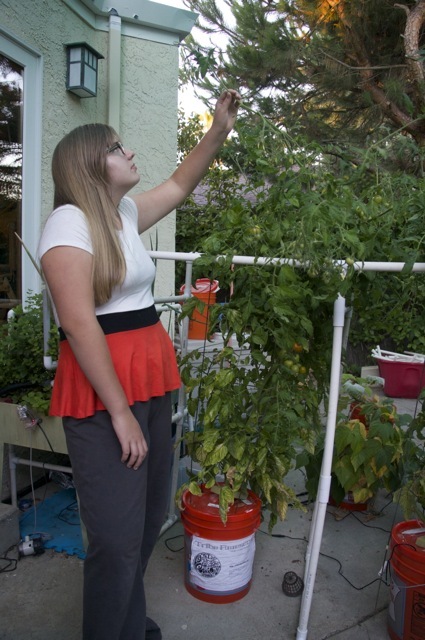 We have an aeroponic tomato plant update! We have been harvesting our very own aeroponic tomatoes. They taste really good! 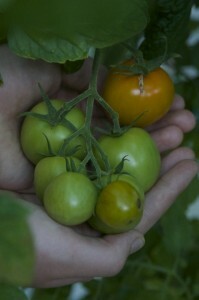 Maintenance of the tomato plants has been manageable. We have had to keep their water levels up and making sure they have had enough nutrients. While we were on a trip for 10 days, we encountered a small problem. The water in our system was replenished every few days but we decided to have our plant caretakers not add new nutrients while we were away. 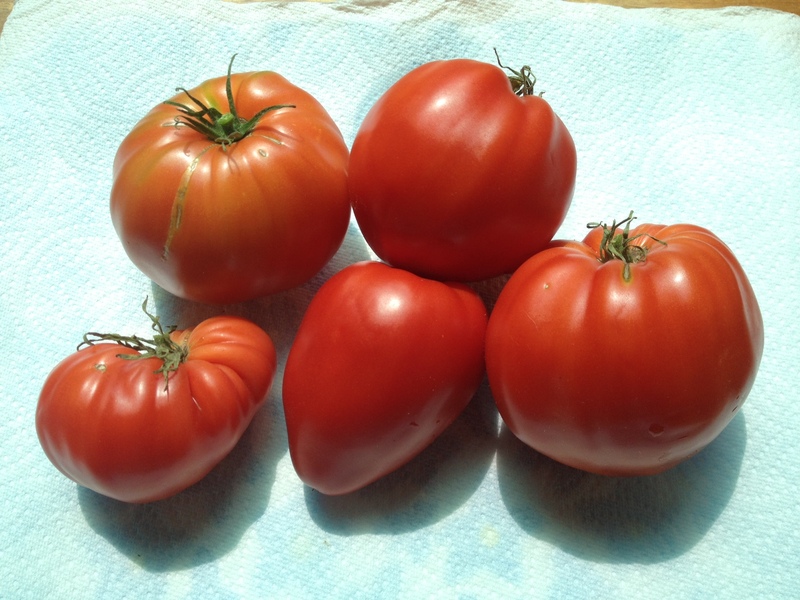 This caused a lack of calcium and resulted in blossom end rot in a couple of the tomatoes that were growing at the time. The tomatoes still tasted good, but there was a part that had to be cut off. After replenishing the nutrients, the new tomatoes looked much better. 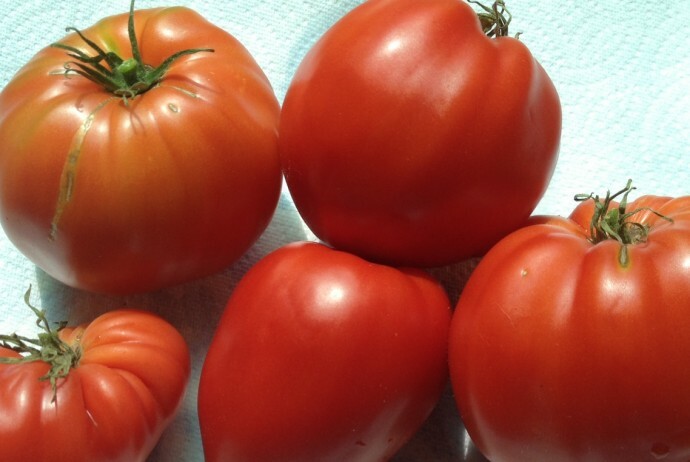 These are the new tomatoes… Yum! have you tried epsom salts to prevent BER? treat mistakes as opportunities to invent, innovate and gain experience! you do not have to re-invent the wheel, many have been gardening for a long while and have never done the experimentation that you all have! those marks and scars on the hands and faces you see, that is experience!